The MS Program in Management is designed to prepare students for quality research and analysis in the field of Management. A sound theoretical basis is provided in the general area of Management and in one of the following specialization areas; Strategy & Organization, Operations Management, Entrepreneurship. This is complemented with developing research skills in qualitative and quantitative methodologies. The program is aimed at challenging students intellectually and enabling them to make contributions towards the knowledge and practice of Management. The Program prepares students for a career in Academia by developing understanding of the current knowledge base in Management and by developing skillset to extend this knowledge base. 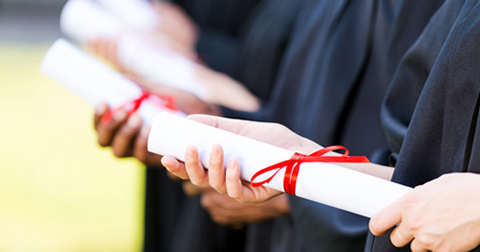 Universities worldwide, require a Master level degree for entry into their PhD programs. MS degree should facilitate admission in any reputable university for a PhD. Further, Graduates from the MS Management program will be sought after by organizations looking for specialists in a particular field of Management (such as Operations and Supply Chain Management) who can do in-depth analysis to solve practical problems of these organizations. 60% marks in their last degree. All equivalency claims shall be evaluated by the HEC. Experience is not mandatory for this program. *Student with a non-business background will be required to take additional courses from the foundation level courses. ** Project is for 3 credit hours. Students opting for a project need to take an additional course in order to fulfill the MS degree requirements. Further such students cannot use this MS degree to apply for a PhD program, as per HEC policy. * Students have the option of doing a project (of 3 credit hours) instead of a research thesis. Student doing a project will have to take an additional course in order to complete their total credit requirements. Such students cannot use their MS degree for admission into a PhD program as per HEC policy. NOTE: Foundation courses may be added/ subtracted from the above list depending upon individual requirement of a particular student.